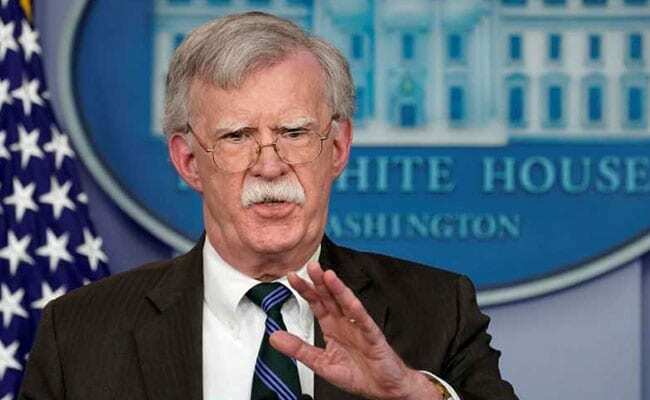 United Nations: The hardline US National Security Adviser John Bolton has issued a warning to India against buying Venezuelan oil, saying it "will not be forgotten" and that Venezuela's Foreign Minister Jorge Alberto Arreaza has countered that it was an attempt to impose Washington's global "dictatorship". Reacting to Bolton at a news conference, Foreign Minister Arreaza, who represents Maduro, said: "What he (Bolton) is trying to do here is give orders. This is a dictatorship that they are trying to impose on the world. Unilateralism at its maximum expression." He asserted that because of Bolton's attitude, "there was a rebellion against this, this dictatorship" at a meeting of the representatives of the Non-aligned Movement earlier Tuesday at the UN. "How payment is made is for the buyer and seller to decide. It can be in currency, it can be through other transferable methods and channels," Quevedo told reporters in New Delhi.